Overall size is 30mm. Shown with carnelian. 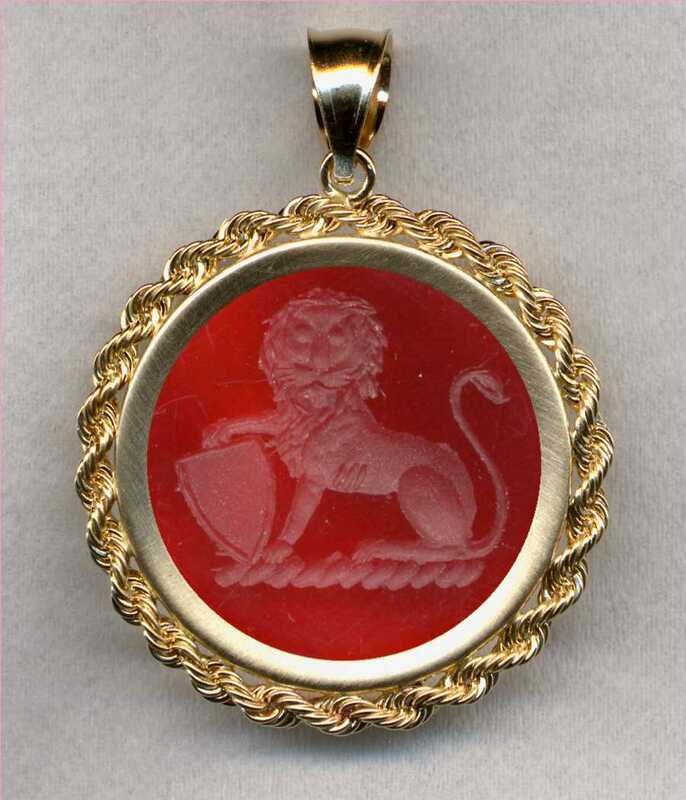 A Lion Sejant Gardant Supporting with the Dexter Paw a Escutcheon. Due to its size, this pendant is not available with bicolor agate.